The Florida Sports Writers Association named its top high school baseball players in June 1987 and Larry Carter found his way on the list. Carter, a hurler at Plant City High School near Lakeland, made the all-state list as an honorable mention, according to The Palm Beach Post. Carter went on from Plant City that year to turn pro as a high draft pick. His pro career lasted six seasons. He made it as high as AA. 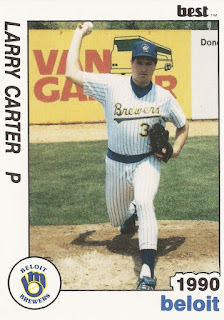 Carter's career began that year in 1987, taken by the Brewers in the fourth round of the draft out of Plant City. Carter started with the Brewers at rookie Helena. He got into nine games, starting four. He went 1-2, with a 5.54 ERA. He played 1988 in the rookie Arizona League, then 1989 at single-A Beloit. He got into 17 games, started six at Beloit. In his first start of 1989, Carter went seven innings, giving up a single hit and picking up the win. 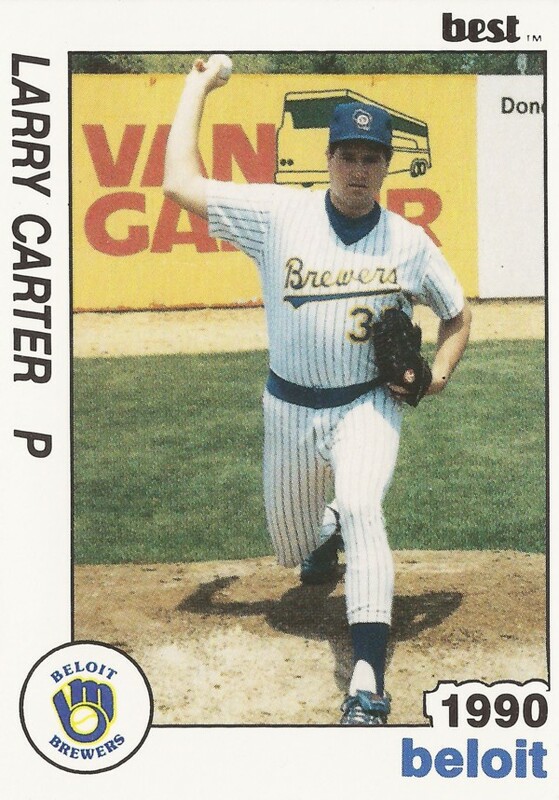 Carter returned to Beloit for 1990, starting 19 games. He went 7-9, with a 2.54 ERA. A third season at Beloit in 1991, though, proved his best season. He went 14-3, with a 3.17 ERA and made the league all-star team. He also saved four games. He also got his first brief look at AA El Paso. He went three innings there, giving up three runs. Carter returned to El Paso for four outings in 1992 and spent the remainder of the year at high-A Stockton. He went 8-5 overall, with a 4.37 ERA, ending his career.